Next week on Sept. 11, 12, 13 & 15, Silvia Dotto, ceramic artist extraordinaire, has organised an Italian cheese and olive oil tasting here in Vancouver. Olive oil sommelier and cheese expert Cristiano de Riccardis will be leading these tasty workshops. To find out more and to see if there are any seats remaining, contact Silvia Dotto directly at sdotto@shaw.ca or have a look at her blog. Hopefully Silvia will be hosting similar events in the future. This entry was posted in Blog, news, olive oil sommelier, tasting on September 6, 2007 by ameliaoil. 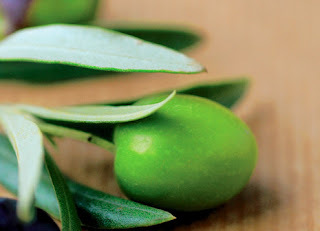 Recently I was discussing olive oil with someone and they brought to my attention the fact that most North American consumers have no idea what olive oil should really taste like. This is something I had noticed at the farmers’ markets when people would taste our oil. Most people really like it but tell us that it taste so different from the olive oil they regularly use. There were also those who made a terrible face and exclaimed, “It tastes strange! Like olives!” This really blew me away: what is it supposed to taste like, if not olives? Amelia Oil tastes different for two reasons. Firstly, it is fresh. Most of the oil you buy in stores has been sitting around on the shelf for ages. We only sell fresh oil that has been shipped and stored in optimal conditions (cool and out of direct sunlight). Second, Amelia Oil 100% extra virgin olive oil grown and processed with the greatest care and pride. A lot of the oil on the market sold as extra virgin olive oil has little to do with olives. At first it seemed absurd that people should remark on the olive taste of our oil but now I can understand why, although I have tasted Greek and Moroccan oils with much more predominant olive flavours. Amelia Oil has a touch of olive but there is also a fresh grassy taste followed by a hint of pepper. Every year it is a little different and I think it is important to remind people that olive oil is an agricultural product that is affected by the weather. This entry was posted in Blog, tasting on August 29, 2007 by ameliaoil. “It all comes down to taste. It certainly is fresh. I didn’t know how stale my store bought oils were until I got my Amelia Oil a couple weeks ago. I was floored by the strength of the palate. I’m now using a little less oil in my preparations but with great flavour results. 1.BBQ grilled Tilapia drizzled with Amelia oil and sprinkled with basil from my garden. Thanks, Bradley, for lending us your fine palate and nose. This entry was posted in Blog, tasting on August 1, 2007 by ameliaoil. Yes, lately I have had little time to stop and smell the roses or taste olive oil. I know I promised some tasting notes, but I have been drowning in the Mediterranean (figuratively, due to my new course that just started today–ethnography of the Mediterranean). Once I start to float again I will get on that. Today I met wine writer Becky Solomon and she had recently tasted Amelia Oil. She described it as very grassy and green. I think that is quite typical of central Italian olive oils and is a good sign our oil is aging well (now about 10 months old). I think there is also a hint of pepper but the acidity is low so it stays on the front of the palate. Now I am getting excited. I promise the whole taste experience soon. This entry was posted in Blog, tasting on July 9, 2007 by ameliaoil. In September I will be moving back to Italy to teach and do research at the University of Gastronomic Sciences in Pollenzo (picture above), which is associated with Slow Food. This is an amazing place for anyone interested in the history, culture and future of food in the world. Besides teaching an anthropology of food course, I hope to indulge in a little formal learning of my own: I would like to become an olive oil sommelier. This is something I have been interested in for a few years. As far as I know, there are no courses offered in Canada (surprise, surprise). I looked into a few courses in Italy when I was still living in Umbria but had no idea which were above-board. The problem is there are two serious courses, as far as I can tell. There is a course offered by the Italian Sommelier Association (AIS), whose main focus has traditionally been wine. The other course is offered by the The National Organisation of Olive Oil Tasters (ONAOO), who only specialise in olive oil. Who knew it could be so complicated. I hope I can find a course that covers the history and culture of olives, as well as the science and art of tasting oil. All I know is there is a big, beautiful world of olives and oil that I want to learn more about. This entry was posted in Blog, olive oil sommelier, slow food, tasting on June 9, 2007 by ameliaoil. Last Tuesday night I was invited to talk about my olive oil experience in Italy and Canada for a course at the Italian Cultural Centre. The course is called Turismo del vino and it is being organised by CNIP Puglia to promote commercial relations and tourism between Italy and Canada in the area of food and wine cultural tourism. The class is largely taught in Italian, with instructors flown in from Italy, and the students are Italian citizens who are residents of Canada. At the end of the 800-hour course, they will fly to Puglia, Italy for a 100-hour practicum. Needless to say, I was intrigued and thrilled to participate for an evening. When I arrived, I was greeted by this week’s out-spoken and lively instructor, Betty Mezzina. We tried to devise a plan for our lesson, but I could tell it was going to be a bit of Italian-Canadian improvisation. Betty, a wine and olive oil sommelier from Puglia, went into the finer details of olive oil production and tasting techniques. I talked about my personal experience, the olive oil business and the complicated logistics of importing oil from Italy. I tried to stress the fact that it is all about human relations and building relationships with everyone involved in the process from production to customs brokering. I think Betty did a great job of stressing the diversity of taste and quality that can be found on the shelves. When we got down to tasting the oil, I was pleased that Amelia Oil was once again the favourite in a blind tasting. The proof really is in the pudding. This entry was posted in Blog, tasting on May 4, 2007 by ameliaoil. Thanks to everyone who came out to the Slow Food olive oil tasting last night. It was a lot of fun and it was very interesting to taste the diversity of extra virgin olive oils from around the world. I was proud that our Amelia Oil really held its own. If you would like to organise an olive oil tasting with friends, we would be happy to bring our oil and talk to you about our experience and share our knowledge of this wonderful product. This morning I had news from Rebecca, who is currently in Europe. She visited a number of olive mills in Spain and we may have a line on some Spanish oil. Stay tuned for more information. This entry was posted in Blog, tasting on February 28, 2007 by ameliaoil. Still haven’t received your 2007 Amelia Oil? Give me a call at 604-925-3028 to arrange pick up or delivery. We are working on it and would like to get your fresh olive oil to you as soon as possible. Also a reminder that I will be conducting an olive oil tasting tomorrow evening at 7pm at 1650 W.7th Ave for Slow Food Vancouver. I will be telling stories of olive passion and terroir. This is going to be a bit of an anti-tasting:) However, we will be trying olive oils high and low from Italy to Spain. For more information, drop me an e-mail or give me a call at the number above. Come out and join the Slow Food movement. This entry was posted in Blog, tasting on February 26, 2007 by ameliaoil. 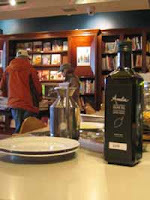 We had a wonderful day yesterday talking to people about olive oil down at Barbara-Jo’s Books to Cooks. What a wonderful place to spend an afternoon! If you missed out on yesterday’s tasting, I will be doing another for Slow Food Vancouver on Feb. 27th. For more information, please drop me an e-mail. This entry was posted in Blog, tasting on February 11, 2007 by ameliaoil. We will be at Barbara-Jo’s Books to Cooks at 1740 W. 2nd Ave. this Saturday, Feb. 10, from 2-4pm. Come by and taste our 2006 and 2007 olive oil and browse the wonderful cookbooks. This entry was posted in Blog, tasting on February 6, 2007 by ameliaoil.